This week, Brad Pitt bravely admitted to the entire world that his drinking problem was the main factor that led to the demise of his marriage to Angelina Jolie. But now Pitt is letting us all know that he is currently six months sober. In a shockingly honest interview with GQ Style, the actor fesses up to having a lifelong relationship with drugs and alcohol, which he believes was to blame for his “self-inflicted” September 2016 breakup from Jolie. “I can’t remember a day since I got out of college when I wasn’t boozing or had a spliff or something. Something. And you realize that a lot of it is, um — cigarettes, you know, [they are] pacifiers. And I’m running from feelings,” Pitt tells GQ. In addition to finally setting aside the bottle, Pitt is seeking professional help to deal with his deeper issues, which he believes may stem from the fact that he grew up with the “father-knows-best/war mentality." “I just started therapy,” he told the magazine. “I love it, I love it. I went through two therapists to get to the right one.” Sculpting is another one of Pitt’s healthy new habits, which he has been doing almost daily at his friend Thomas Houseago’s studio. When celebrities openly discuss their issues with drugs and alcohol, it can help break the stigma surrounding alcoholism and addiction. By using their fame as a platform, stars can speak to the millions of people out there also suffering with addiction. Take Ben Affleck, for example, who first checked into rehab in 2001 at the age of 28. In early 2017, Affleck revealed he had completed yet another stint in rehab for alcohol abuse. The line between social drinking and destructive behavior can be blurry. Drinking alcohol — even if you don't consider yourself an "alcoholic" — can cause depression, anxiety, dementia and, in extreme cases, cirrhosis of the liver. It can also bring on a slew of other health problems, including rapid heart beat (heart arrhythmia), fertility problems and fatty liver disease. What's more, alcohol use and abuse increases the risk for many types of cancer, pancreatitis, digestive problems, cardiovascular issues and stroke. Winning an Oscar may be considered a great honor in Hollywood, but owning up to your issues and revealing them to the world is also trophy-worthy. Kudos, Brad. 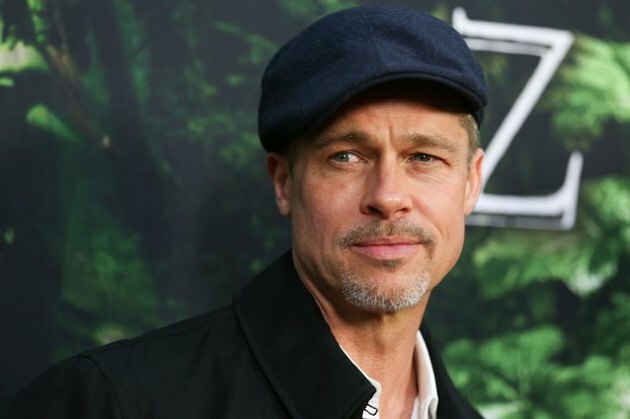 Are you surprised to find out that Brad Pitt has an addiction problem? Why do you think so many celebrities struggle with substance-abuse issues? Does Pitt’s confession change your opinion about him? Let us know what you think in the comments section!